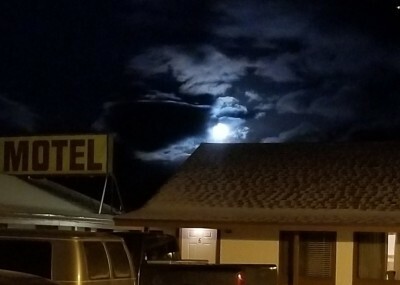 "The Canyon" Motel is "Your Mountain Getaway" nestled in the Rocky Mountains along a Colorado Scenic Byway on US Hwy 40, in the small town of Hot Sulphur Springs (named after the 24 pools of natural mineral baths within walking distance). 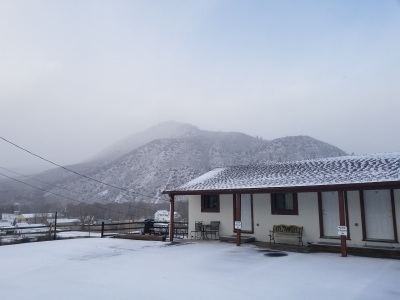 The Canyon is a unique, historic motel offering our guests personal service to accent your Colorado getaway. Guests can walk to 2 restaurants, a convenience store w/ gas, liquor store, and great fishing, a fantastic candy/gift store, the Pioneer Museum, and a library. Act Now - Offers End Soon! Note: because we need to prepare for the package, especially fresh flowers, please book at least 2 days advance. 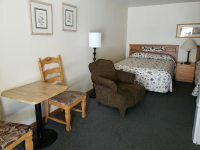 2 Queen sized beds, kitchenette, futon opens into a comfortable Double bed. New mattress and bedspread. Check-in 3:00 PM to 10:00 PM, check out by 11:00 AM. Early or late check-in available upon request with management. Guest must be no younger than 18 years old to book a hotel room and provide proper identification upon arrival. For regular reservations, 48 hours. – If cancellations are requested less than 48hours( 7 days for hunters) prior to check in, the penalty is the full amount of your reservation. – No shows will be charged the full amount of your reservation. – Reservations made through third-party sites ( Expedia.com, Hotels.com, Booking.com etc.) must be canceled on the site where you made your reservation. The same cancellation policy applies to reservations made on those sites as reservations made on our own site. 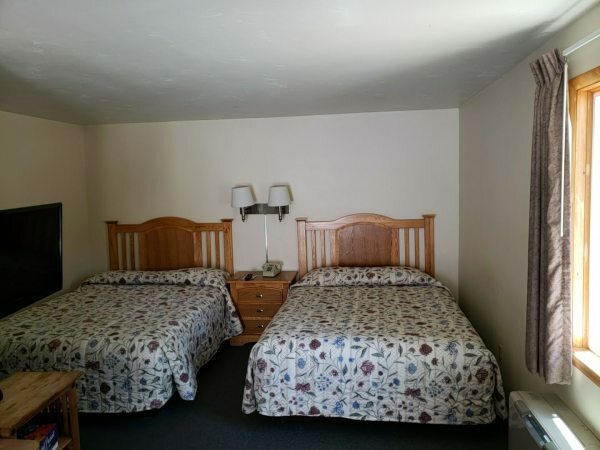 All Canyon Motel rooms are non-smoking of any kind. Please use buckets for butts and smoke outside in areas away from other guests' room windows. A $500 fee will be charged to your card for any evidence of smoking inside rooms. No burning candles inside of the rooms either. Pets must be declared when you check-in. Service animals and well-behaved pets are welcome. 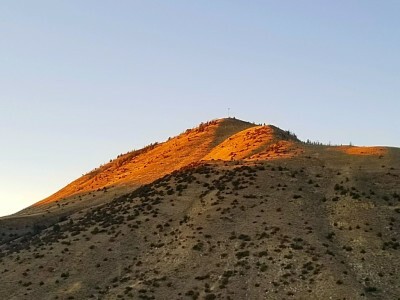 They are permitted unless they pose a health or safety risk or are prohibited by law. Pets must never be left unattended in rooms or not within your control. Please clean up after your pet. You are financially responsible for your pet's behavior, any damage, excessive and/or exceptional cleaning charge at Canyon Motel, this includes, but is not limited to: pet odors and pet stains; Any injuries to Canyon Motel employees or motel guest caused by your pet. Please be mindful of and minimize barking, especially early in the morning. There is no cooking in rooms without a kitchenette. In kitchen rooms, please wash all used dishes, pots and pans before your departing or $25 “dirty dishes fee” will be applied to your card. Please use the barbecue grill area at your convenience and remember to turn off the gas nozzle on the tank when finished. Room Damage/Missing Items/Excessive Cleaning: If rooms are damaged or left extremely dirty during a stay, guests will be charged the amount it costs to replace damaged item +$50.00 /hr labor fees to return the room to its original state. This includes not limited to missing/damaged bedding, towels, windows, TVs, window screens, appliances, fixtures, furniture, doors, lights mirrors, etc. Towels: Please do not use towels/washcloth for makeup removal, hair dying, clean shoes/car/bike/dishes, as the stains will stay permanently. If you do, you will be charged for the cost of replacement. If needed, we do provide you free makeup removal pad, clean rags. Lost Keys: A $10 lost key charge will be assessed to the credit card on file if the room key isn't returned at check-out. We accept credit card Visa, MasterCard, Discover only. No AMEX. You can pay cash when check-in, but we require your valid credit card information for incidentals. When making a reservation, please provide a valid credit card, on the busy days, we do charge your card within 48 hours upon your arrival. If your card declined, we normally contact you by phone calls, email or messages through third-party, if you don't respond in a certain time, your reservations will be non-guaranteed, means it depends on us to sell the room or keep the room for you, if we are busy, many people especially walk-ins ask for rooms, and we don't hear from you, we will most likely will sell the room, so please keep in mind, valid credit card is very important if you want us to hold room for you. Multiple days stay, we will only refresh towels & toiletries upon request. Check-in: 3:00pm / Check-out: 11:00am. Early check-in: earliest check-in will be 1 pm without charge, before 1 pm, $20 early check-in fee will be applied. Please give us a call the morning on your arrival day. after 3 pm, a full night charge. We are a small family-run business and have created a space to be enjoyed and respected. As we will do our best to serve you please return the courtesy.